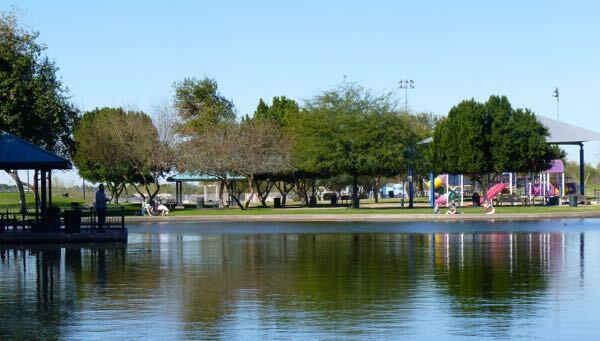 A nice side trip in Yuma was to West Wetlands Park; a large and well maintained city park with lots of variety. If you have a little extra time, it would be worth a visit. The pond had pavilions and a sidewalk all around with benches to rest. There were fishermen trying their luck, and later some RC boats sailing along. Nearby was a playground and restrooms. Walking further I found what they called the Creative Playground, designed by children. A fanciful castle like structure seemed to be reserved for special events. I also passed a large field with a frisbee golf course. In the distance could be seen sports fields. 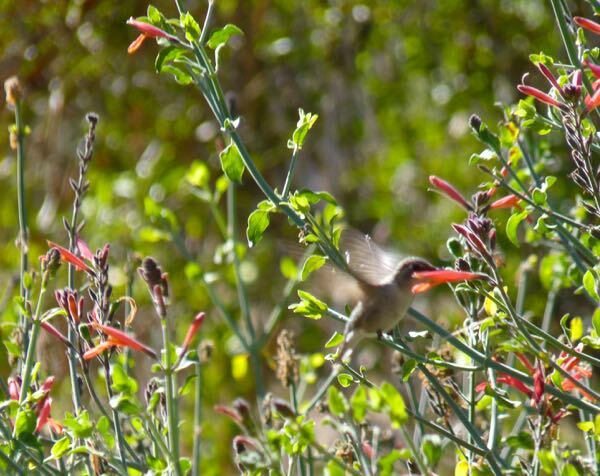 Continuing on, I came to a hummingbird garden. A stroll through it found them, as well as other birds, flowers and trees. That led me to a trail going into the woods which extended along the river. The path led me back to the parking lot where Tardis awaited. After catching up on some computer work, I went out for lunch at a small local eatery named Jester’s. A delicious burrito and drink, at a very reasonable price, hit the spot. 🙂 Sounds like a real pleasant time. Just seeing a nice sunny place like that warms me up a bit, here in Ohio. Well, sort of. Glad it made you feel better about your winter woes; for awhile anyway. Stay warm and safe. What a beautiful place to visit. I don’t often see hummingbirds but they are fascinating creatures. 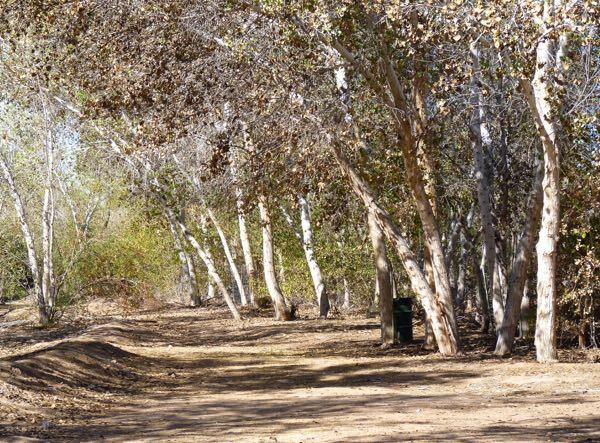 It will be nice to stroll the nature trails one of these days. That one looked inviting… as did the fishing! Thanks for sharing the cool pics. You get to some pretty neat places too. I believe the city stocks the pond at that park for those wanting to fish. 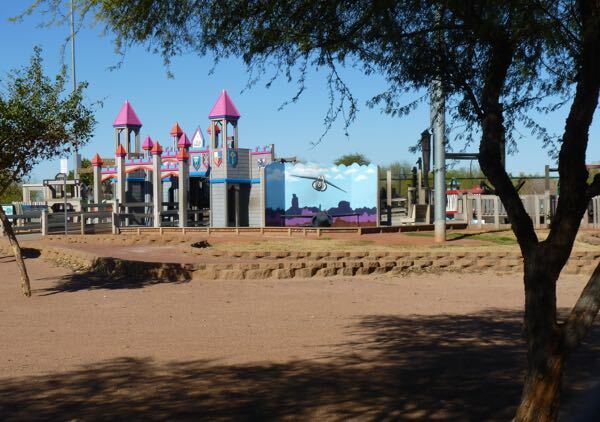 They’ve certainly improved Yuma since I was a kid. It was just a stiflingly hot, dry, rocky area. My Dad had business there, nothing for us though. The Hummingbird is a treat to see & hear. They always make me think I’m hearing a giant,very loud,honeybee about to sting me. Love the photo. That Nature Trail is certainly inviting. Glad to see you found such nice scenery in the area. It’s a big agribusiness area, and much larger town than I had anticipated. Mainly used it for resupply of gas, propane, groceries, and to dump the waste tanks. The park was a nice break, and I understand they have other smaller parks around town.